Domestically manufactured products like refrigerators and washing machines might become costlier by 3 per cent. Products with higher quantum of imported components like air conditioners, TVs and those with imported electronic parts will be costlier by 5 to 7 per cent, depending upon the imported component, said Kamal Nandi, business head and EVP, Godrej Appliances, and president of CEAMA. Some companies will go for the hike this month while some would wait till January next year. In September, consumer durable companies had gone for a 3 per cent price hike. This was because input costs had gone up due to depreciating dollar and rising oil prices. The falling rupee hurt imports, while plastic components became costlier due to higher crude oil prices. “But we were not able to implement the rate hike as the market was depressed and we had to offer discounts during the festive season,” Nandi said. The government increased the import duty of select consumer durables like refrigerators, washing machines, ACs and microwaves from 10 per cent to 20 per cent in September. As most of the companies had already brought in their consignments for the festive season, the higher import duties did not increase the input costs till now. But in December, companies have started getting fresh lot of products at higher import duties and hence they are left with no choice other than raising the prices, said Nandi. “We had increased the prices by 2 to 3 per cent in October. Considering the higher import duties and other input costs, we will review the prices in the first week of January. We will take stock of the exchange rates and commodity prices,” said B Thiagarajan, joint MD at Bluestar. The industry had increased the prices in September when the rupee was at 70.5. While the rupee further depreciated in between, it has now returned to the September levels. “So the 3 per cent rise on the basis of rupee-dollar rate is still relevant. The additional rise will be mainly on the duty hike,” said Nandi. 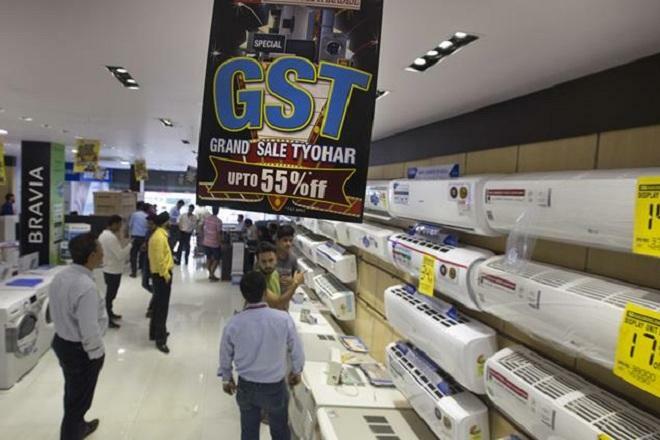 In July, the government had lowered the GST rates of select consumer durables. The industry had passed on the benefit to the customers. The consumer durable industry witnessed a flat growth since the beginning of the festive season. Onam registered de-growth, Dussehra remained flat and Diwali recorded around 10 -15 per cent growth. On the whole, the festive season registered a flat growth over last year.